To read all the documents in PDF format, you have to use a special software which is known as PDF reader. Basically, A PDF Reader allows you to open and view any PDF (portable document format) files you have downloaded with ease. If you are using Mac OS X, you can use different PDF reader for Mac OS X. One of the best software’s which is available for Windows users for reading the PDF files is Adobe Acrobat reader. However, there are many PDF readers for Mac OS X. 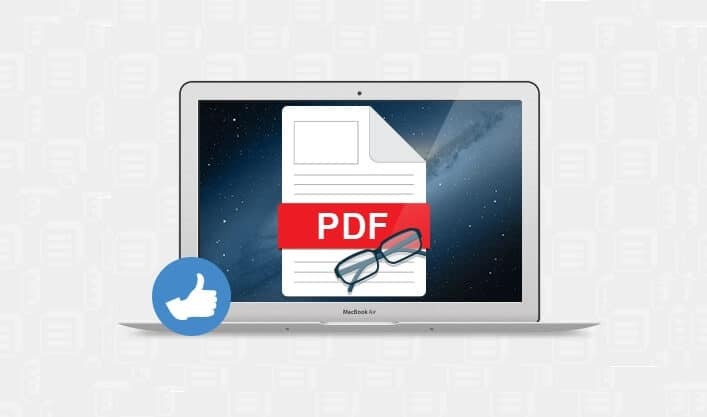 In today’s PDF guide, we have gathered some very well-known Mac PDF readers and going to share the complete list of top 10 best PDF readers for Mac OS X. Although, the Apple’s built-in preview feature is really very remarkable and offers easy viewing options for PDF files. But if you are looking for a powerful and multifunctional PDF reader for Mac then you must check out the below listed best free PDF readers for Mac OS X. One of the best PDF readers for Mac OS X is Adobe Reader. The reader is available for Windows and Mac operating systems. A lot of people prefer to use adobe reader because it is very easy to use. You can view all the documents in PDF format using Adobe reader. You can download adobe reader for Mac OS X by visiting their official website. The latest version of Adobe Reader offers the access to a full set of commenting and markup tools, including sticky notes, a freehand drawing tool, and typewriter, highlight, underline, strikethrough tools, and much more things. Skim is really useful for all the scientific purposes. However, you can use the software to view all the documents too. The software can be customized as per someone’s requirement to get the best output of the documents. Skim comes with an advanced feature called single swipe highlight menu which will help you in highlighting important content in the document you are reading. This is the reason that Skim is the best PDF reader for Mac OS X. If you want to use a professional PDF reader for Mac operating system then you need to use iSkySoft PDF Reader. This is one of the best PDF readers for Mac OS X as it comes with a lot of amazing features. You can also edit the pdf documents using this software. iSkySoft PDF reader allows you to highlight the documents for identifying the important content. You can download PDF reader for Mac OS X for free by visiting their official website. Gnostice Free PDF Reader for Mac is compatible with all versions of Mac operating systems. You can read all the PDF documents and even edit them by adding funny stickers. Multi-page viewing, supporting most of the popular font types and image formats, advanced PDF printing options, exporting PDF pages to popular image formats, and displaying ordinary and flattened form fields etc are some of its noticeable features. Gnostice Free PDF Reader is perfectly compatible with Windows, Linux, or Mac (OS X) running JRE 1.42 or later. If you are looking for a fast and light-weight PDF reader for mac then Gnostice Free PDF Reader is one of the most suitable options for you. Haihaisoft PDF Reader is the best PDF reader for Mac OS X users with slow internet speeds. You can download PDF reader for Mac OS X easily as it is only 3 MB In size. Haihaisoft comes with multi-language support which will allow you to use this software easily in multiple countries. The software consumes very fewer resources and will help you in opening all the PDF documents. Haihaisoft Reader is now available for Windows, Mac, Android, and iPhone/iPad and supports multiple languages. As nowadays, small size laptops are coming, Read Right for Mac OS X is a software which is developed for these kinds of gadgets. The software will fit the screen as per the size. One more interesting feature of this software is if you rotate your device it will adjust as per the rotation. Some of the features which you will get in this PDF reader MAC are multiple navigation options (mouse buttons, arrow keys, or trackpad), zoom control, colors option, and much more. Open Office 3 can be used for office and home users. There are many versions of this PDF reader free download available and the latest version of PDF reader MAC comes with a lot of amazing features. It is refined to give the best document viewing experience. Using Open office 3, you can import all the Microsoft office files easily. Its good stability and performance are the most important things which people like most. PDF Lab is used among many users. The software comes with a clean interface and is tested on all the versions of Mac operating system which is the reason that it makes to the list of top 10 best PDF reader for Mac OS X. You can easily view the documents and create new PDF’s with PDF lab. Minimum system requirements to run this useful Mac PDF reader are: Mac OS X 10.3.9 or later, Java 1.4.2. Formulate Pro is not a famous software but is a good one as it will help you in opening all the PDF documents. There is only one downside of this software and that is you can’t create PDF documents using Formulate Pro. You can also easily fill out any PDF form document, drop in graphics, scribble with the mouse or a tablet, save and print, and many more things. Formulate Pro requires Mac OS X version 10.4 or higher. OS X Lion is also supported. PDFView is the last free PDF readers for Mac. The software offers a whole lot of amazing features. The software is easy to install and reading the PDF documents is just like a kid play with PDFView. PDFView PDF reader provides you the options to view your PDF files the way you want: you can easily rotate pages, choose to display one or two pages at the same time, let it choose the best zoom level or fine-tune it, and much more. So, these are the top 10 best PDF readers for Mac OS X. If you want to get the best experience to view your PDF documents we suggest you to download Adobe reader for Mac OS X as it is the best PDF reader which you can use on your Mac OS X. Please feel free to share with us through comments – According to you, which is the best PDF reader for Mac OS X? And which best free PDF readers for Mac OS X you are using from a long time?